Here at DBS, we are certified installers of RockWell egress window wells. In addition to providing a safe exit, our egress windows allow more natural light and fresh air into the basement to make the space feel larger and more inviting. We are your certified egress window contractors in Superior and Duluth Superior Area. Call or click below to request your free estimate! 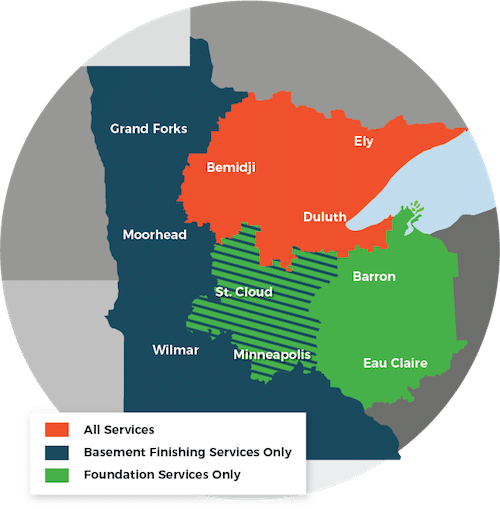 We are the area's experienced waterproofing contractors serving Superior, Duluth, Minneapolis, Two Harbors, Cloquet, St. Paul, Hermantown, Virginia, Ashland, Esko and many areas nearby.